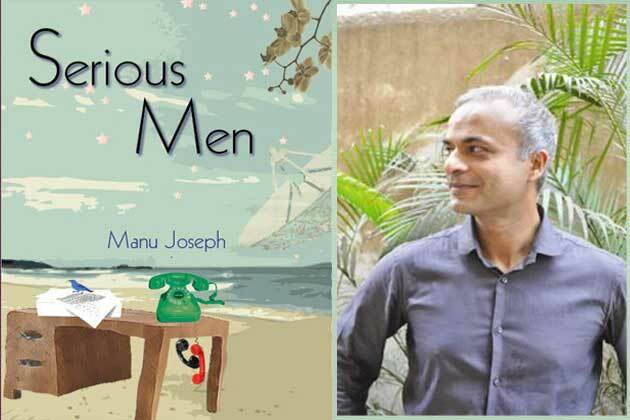 Book Review of Serious Men by Manu Joseph: Why the misogyny? I have been meaning to read Serious Men by Manu Joseph for a while now, and I really wanted to like it as well. I did get my hands on a copy finally, and, what a disappointment. Serious Men is billed as a story of class struggles and politics in a government run university, very similar to the one I attended. And on those aspects, it mostly delivers, albeit with a heavy dose of unrealistic narrative moving incidents strewn predictably at all the right points in the plot. The class divisions in the book are real, and ones I was privileged not to really notice when I attended those institutions. The professors were mostly upper class, the lower/mid level administrators mostly other castes. The author brings these divisions out, and uses them to make what could have been an interesting and enjoyable story. But, don’t read it unless you like your women characters one-dimensional and devious. Why all the should haves and could haves? The book is unfortunately steeped in a misogyny so deep that I wonder what Manu Joseph was thinking. One of the narrative movers is the accusation of research fraud levelled by a woman scientist Oparna against her fellow upper caste supervisor and institute head Dr Acharya. See, Oparna gets very attracted to Acharya, makes her intentions clear to him in a fairly unrealistic way. Their interactions culminate in a two week affair when Acharya’s wife Lavanya is out of town. Lavanya hears very quickly of the affair and confronts Acharya, who immediately ends the affair, while still continuing to work with Oparna on his dream project. Oparna’s character throughout this period is reduced to her looks and her demeanour around Acharya and at work. The juxtaposition of her sexual awareness and honesty during the affair, and her complete turnabout into a “scorned woman” after is unbelievable. Yes, the book is a satire and as such, the author has additional license to exaggerate differences and character flaws, and little need for plot realism. However, an author has a conscious choice in whom they choose to satirize, privileged male authors violate my (soon to be trademarked) “poke fun upwards” guideline on safer humour by writing one-dimensional female characters and making them the objects of satire. Yes, this is a work of fiction and Manu Joseph is free to populate his book with very poorly written female characters and win prizes. But. as this reviewer points out, do you want to read books with passages like these? 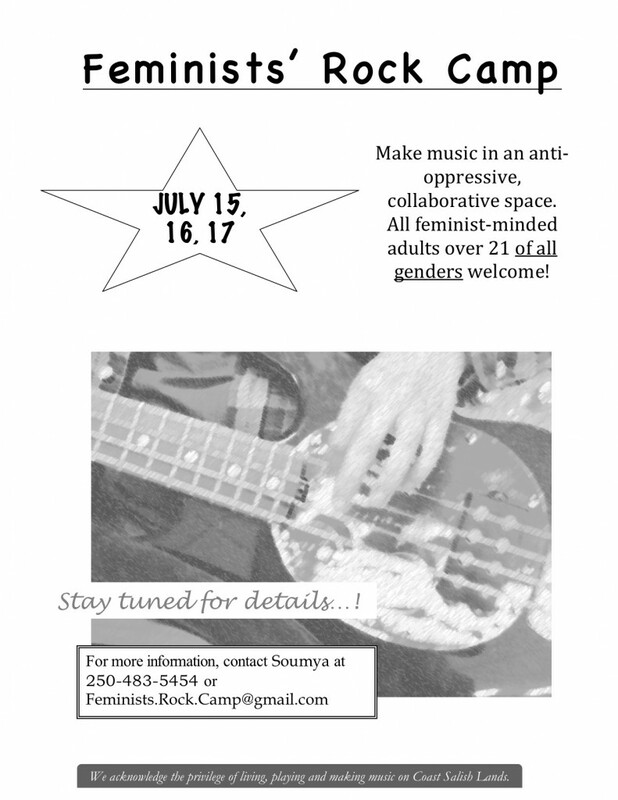 Feminists’ Rock Camp 2011 – Save the date! Feminist Rock Camp 2011! Save the dates JULY 15, 16, 17. For more information, contact Soumya at 250-483-5454 or Feminists.Rock.Camp@gmail.com. Hey! Want to watch a bunch of cool feminist folks rock out and play some original material from the first feminists’ rock camp in Victoria? Want to watch them jam with some cool musicians? 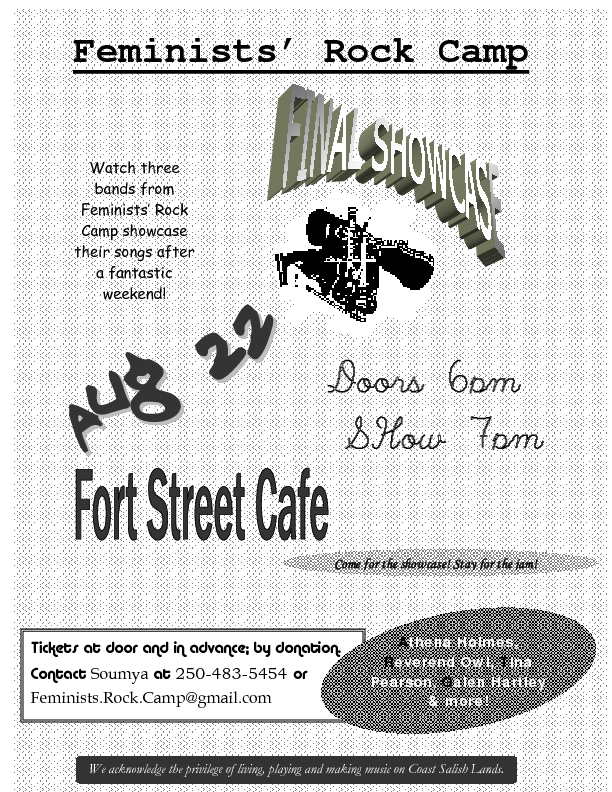 Then come to the Fort Cafe, Sunday August 22nd. Doors open at 6. Also, look for the fabulous Galen Hartley, Athena Holmes from Montreal and Victoria, Tina Pearson, Anne Schaefer, and some Reverend Owl goodness! Look forward to seeing you there! Download the flier if you’d like to put one up on your fridge, or your work fridge, or anywhere you fancy.